Samaritan's Purse has staff on the ground in California. UPDATE (Aug. 3): Our disaster relief unit is in place at Redding Christian Fellowship. Our staff members are assembled. Day volunteers will begin work on Saturday, Aug. 4. We will receive overnight volunteers starting on Sunday, Aug. 5. A disaster relief unit—a tractor trailer filled with equipment and supplies—has been sent to California in response to the deadly Carr fire near Redding. Our truck rolled from North Wilkesboro, North Carolina, on Sunday and arrived Tuesday. Our host church is Redding Christian Fellowship. Samaritan’s Purse program managers are on the ground assessing the situation in cooperation with local churches and government agencies. We are rapidly trying to determine how best we can serve area residents in Jesus’ Name and will soon be seeking volunteers to assist homeowners as they search for precious belongings beneath the ashes. We also anticipate skid steer work and tarping. 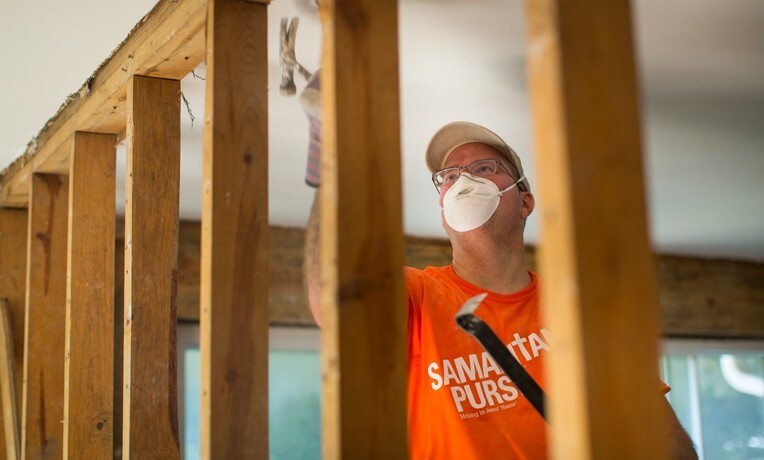 Samaritan’s Purse has responded to wildfires before, including the Tubbs fire in Sonoma County, California, in Oct. 2017. We are being joined on this deployment by Billy Graham Rapid Response Team chaplains. More than 1,000 homes, businesses, and other structures in Shasta County have been damaged or destroyed by this blaze; seven people have died. The fire remains less than 40 percent contained; the weather continues to be hot and dry; and more homes are threatened as the inferno burns well over 150,000 acres. As many as 40,000 residents were evacuated at one point, though many have now returned home. The Carr fire is the largest of several significant fires burning across the state, and the sixth most destructive in California history. More than 4,000 firefighting personnel are combating this blaze. On July 27, via Facebook, Samaritan’s Purse President Franklin Graham asked for prayer for residents affected by the Carr fire. In the same post, he also asked for prayer for those battling the fires in California and other western states. Earlier this year, on June 5, Franklin Graham proclaimed the Gospel to more than 9,000 people at the Shasta District Fairgrounds in Redding—the final stop of his 10-city Decision America California Tour. Please pray for our staff as they continue to head out California with additional equipment and trailers. This is a developing story. It was originally published on July 29 and has been updated through Aug. 6.